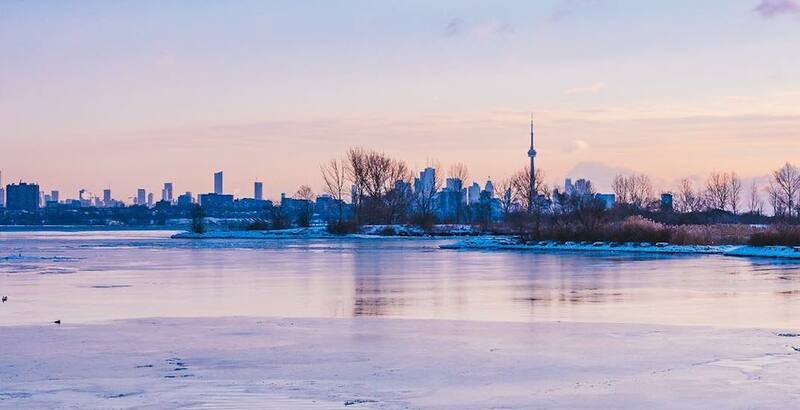 Don’t let the cold weather keep you from enjoying the city this weekend, especially because there are so many fun events happening all over Toronto. From a craft beer festival to a frozen ice festival in Yorkville, here are 21 awesome events happening in Toronto this weekend. 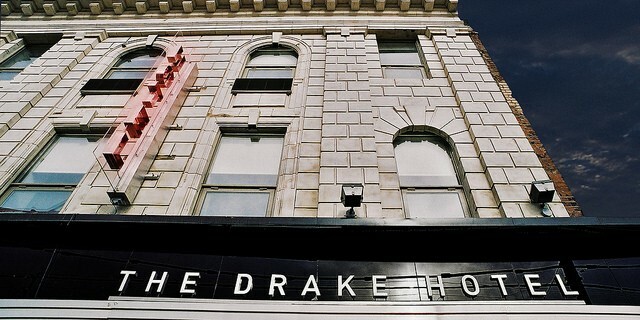 What: The Drake Hotel is throwing an epic 15th birthday party and Toronto is invited. The four-day extravaganza kicks off the on the 7th with the grand reopening of Drake Underground featuring multiple musical performances, brand new art and a dance party ’til late. What: Progress is an international festival of performance and ideas, with shows ranging from theatre to dance to music. The festival is co-presented by the SummerWorks Festival and the Theatre Centre and it brings groundbreaking work from around the world to Toronto for three weeks. What: From Sarah Wilson and Mike Ross, co-creator of Spoon River, comes an inspiring and joyful musical about acceptance, love, and finding your own path, even when that path isn’t what you thought it would be. What: Following last year’s successful inaugural winter program, Ontario Place will once again come alive this winter season. Running from now to March 17, the West Island of Ontario Place will be home to the Winter Light Exhibition, free public skating and community bonfires. This year, visitors can also look forward to a series of DJ nights at the iconic waterfront venue and a range of beloved films at Cinesphere. What: Come and check out The 7 this weekend, a new pop-up that features eight unique, picture-perfect rooms. 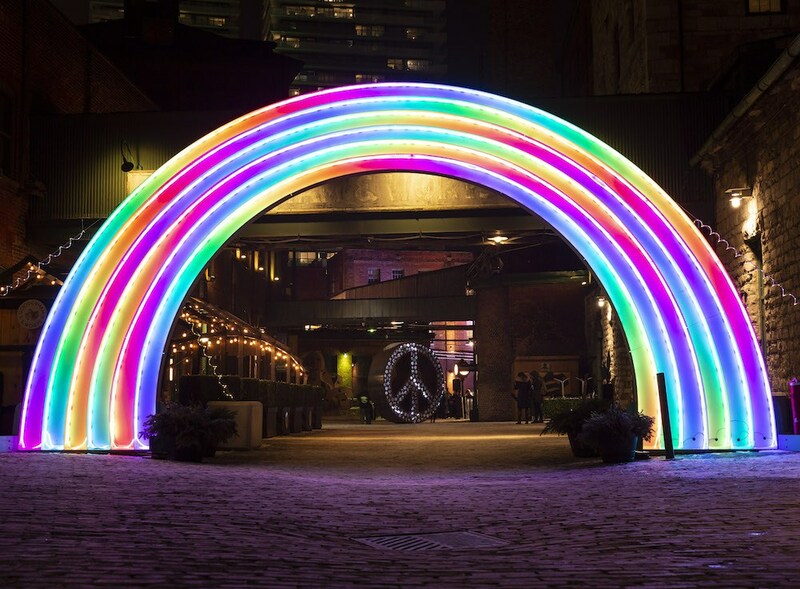 The concept is to help Torontonians beat the winter blues with fun out-of-the-box and Instagrammable rooms full of colour, art and 3D visuals. What: If you want to cultivate some wine knowledge, chat about the world of vino, and learn a few classic dishes to pair with your glass, this is the evening for you. Sample whites and reds, from light to full-bodied, and enjoy some surprises too. 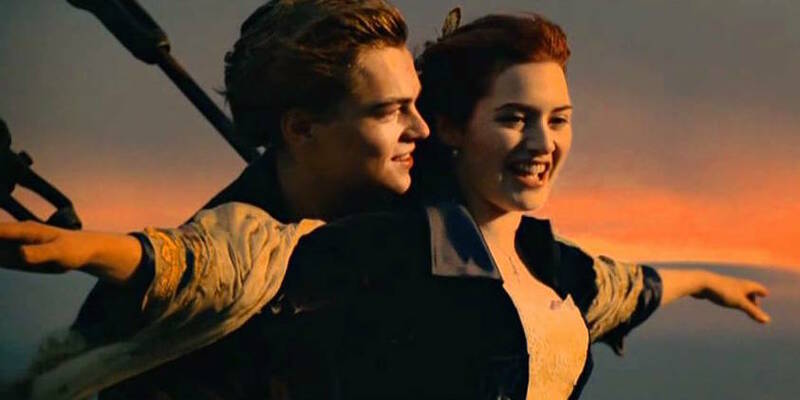 What: A 17-year-old aristocrat falls in love with a kind but poor artist aboard the luxurious, ill-fated RMS Titanic. You can catch this heartbreaking story on the big screen at Cinesphere this weekend. Where: Ontario Place, 955 Lake Shore Blvd. What: Toronto, if you’re in the mood to dance, legendary German trance duo Cosmic Gate are performing at Rebel as part of their Forward Ever Backward Never Tour. What: What better way to celebrate the month of love than with an act of self-love? This yoga and brunch experience is the ultimate gift to yourself. Kombucha, a gentle yoga practice, a neck massage, teas, brunch, a flea market and a goodie bag filled with goodies valued over $100? This is the ultimate way to celebrate you. What: Grind, season and stuff your own hand-made sausages while learning the stories behind your favourite craft beers at People’s Pint, one of the city’s newest craft breweries. You’ll learn how to make wieners at home, and walk out walk out with a pound of fresh sausage to grill up yourself. 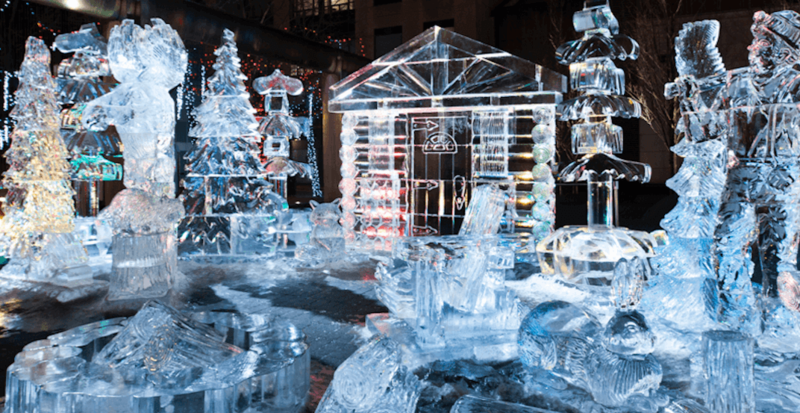 What: Toronto’s historic Yorkville neighbourhood will be transformed into a showcase of delicate, stunning ice sculptures using over 70,000 lbs of crystal clear ice over February 9 and 10. This year’s theme is Hollywood North, turning Yorkville into a magical display of magnificent sculptures inspired by the success of the film industry in Toronto and Yorkville. What: You can enjoy an afternoon of music by exhibiting artists Carson Teal and Xuan Ye, and performers Korea Town Acid and Oscar Chiu performed within the landscape of Soft Refraction. What: Society of Beer Drinking Ladies is turning five years old and it’s celebrating with two epic parties. Guests can look forward to Ontario craft beer and cider, women-owned food vendors, women’s Artisan Market, performances curated by Girl Gang Cabarets and Firecracker Comedy Project and much more. What: The tradition continues! 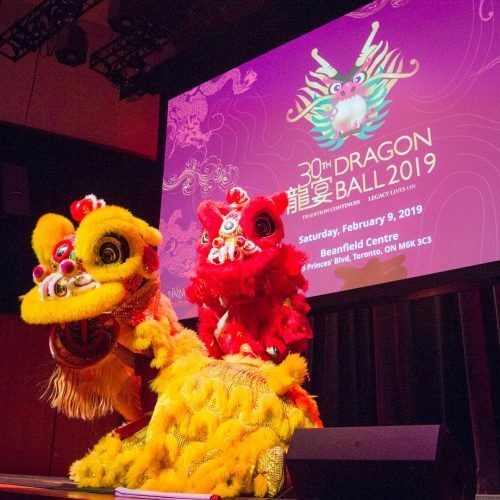 The Yee Hong Community Wellness Foundation’s annual benefit gala returns to celebrate Chinese New Year. Guests can look forward to a variety of exquisite cuisines in addition to a four-course dinner and silent and live auctions. What: You can sharpen your skates and skills at Toronto’s number one outdoor winter party. Each weekend you can expect a different DJ who will be spinning the hottest tracks. The best part? This skating party is totally free. What: This one-day art market features a carefully selected group of artists at the intersections of art, design, craft, and fashion who create functional objects within their practice. What: Don’t let the winter blues get the best of you this weekend. There’s nothing like a creative and colourful art show and sale to help inspire and enlighten the mood. From fashion, jewellery, home decor, vintage, photography and more, you can shop directly from the hands of 50+ amazing local artists and designers. What: Named after the beloved episodes of NBC’s Parks & Recreation, come out and celebrate Galentine’s Day at Comedy Bar with a lineup of stand out female stand-ups.